Combined Alpaca and Llama Easy-Pen for Breeders who have both animals. 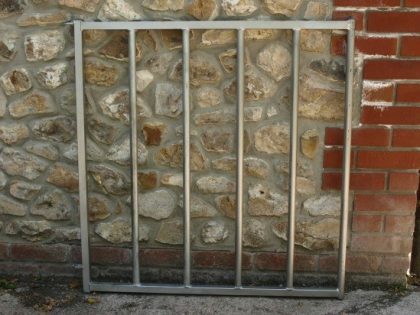 An interchangeable curved end gate is added to give the extra length when needed. How often do you want to catch just one animal to remove a bramble, inspect a limp or perhaps check an eye? Can you vaccinate, worm or trim feet on your own? No? You need an Easy Pen! The Easy-Pen enables one person, without help, to easily catch and restrain/hold the animal for treatments such as vaccinations, worming, foot trimming and weighing etc. The animal is held securely in this small pen without stress and struggle and is therefore much more calm for the moment of treatment when it is easily held by the operator. The animal is then let out of the Easy-Pen on the opposite side of entry and so is separated from the remaining animals to be treated. Weighing is simplicity itself, place the platform scales in the pen, let the animal in, give him/her a few seconds to settle, take the reading and let him/her out the opposite side. If it is not convenient to let him/her out the opposite side then he/she can be marked and let back into the group. 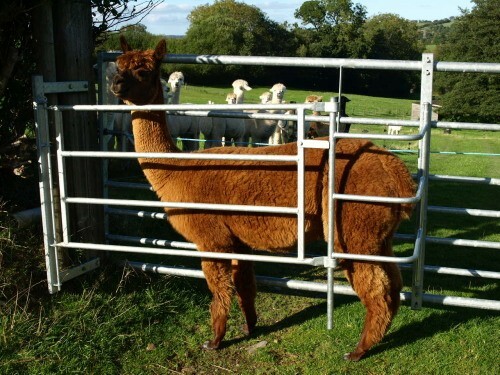 Used with the Alpaca Easy-Pen instead of standard end gate; for those occasions when you need to get in the pen to work more closely with the alpaca.